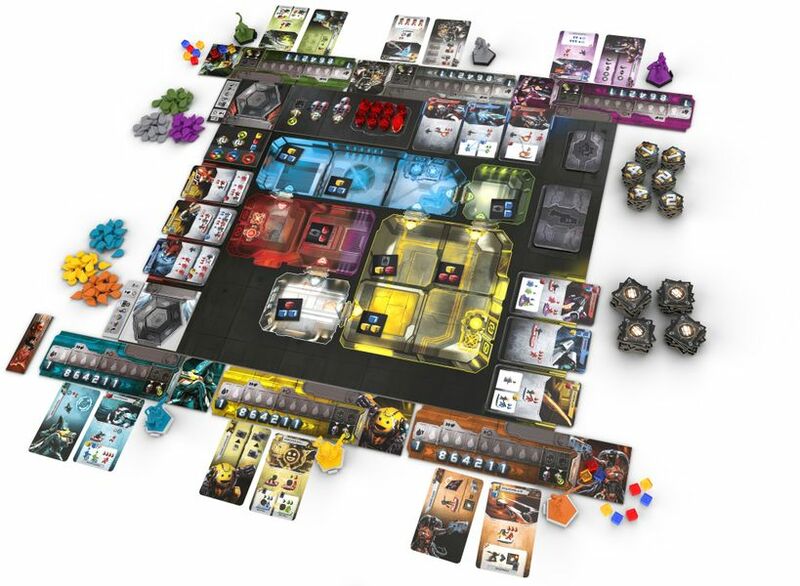 In this edition of our Road to Essen 2018 coverage, we turn the spotlight on Czech Games Edition and their slate of Spiel releases! Pump up the pace; it’s the Team Play DLC! 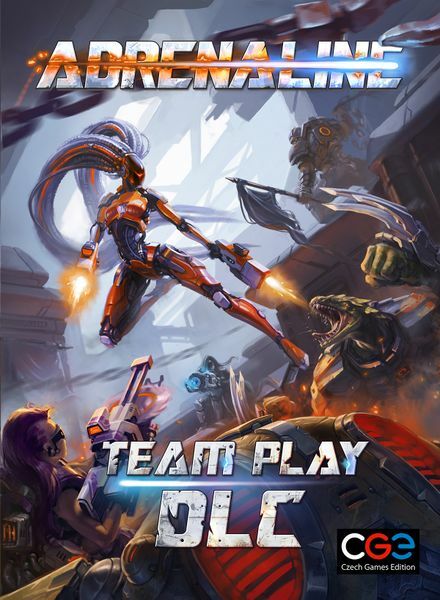 Whether in all-out deathmatch or team-based scoring, the game has been streamlined to add more player choice, create new decisions, and introduces character-specific weapons and abilities to the game of diceless arena combat. The player count has also changed from 3-5 to 2-6, with a fast-playing team mode for any number of players. 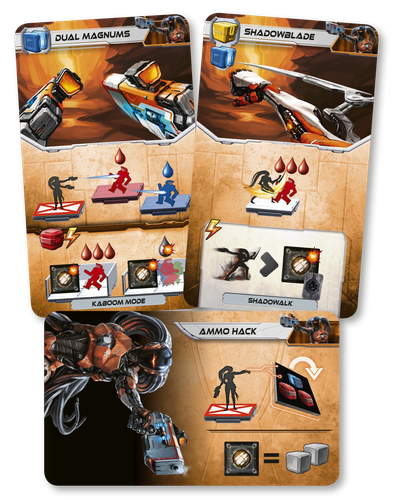 As well as the deadly drone assassin Echo, each of the five characters now has unique abilities to further push themselves to the limit. Is that an elk, or a moose? A pegasus, or a unicorn? 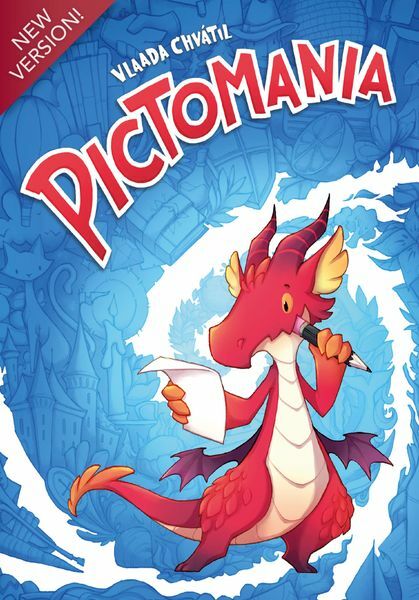 Pictomania is the game of drawing AND guessing – the party game of using your noodle while you doodle! 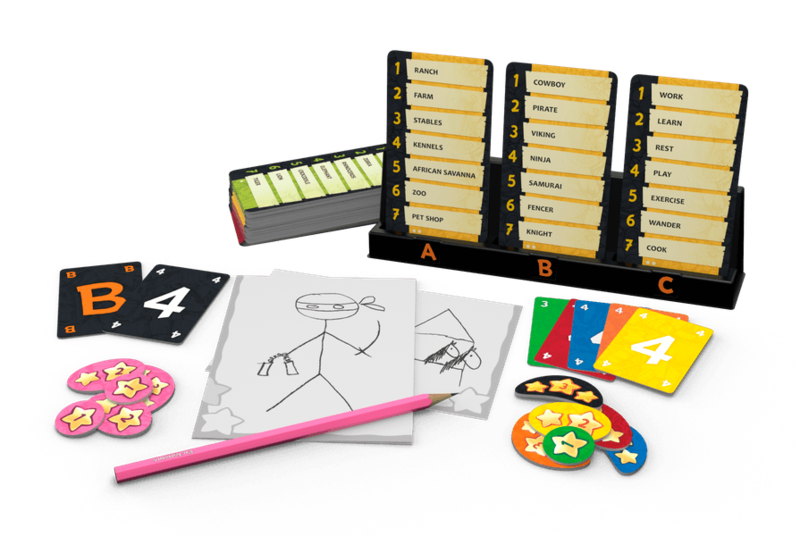 In Pictomania by beloved designer Vlaada Chvátil, there’s no time to draw a complex masterpiece – the first person to guess the other player’s doodles correctly gets big points – and there’s also points for having people guess yours well! 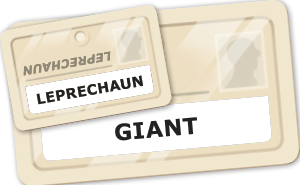 This second edition of Pictomania features revised word cards with a brand new look. One big change for this edition compared to the base game is that only three word cards are in play no matter the player count. Two teams of adventurers are heading for the treasure – and it’s your job to lay traps and cast curses to get in each other’s way! 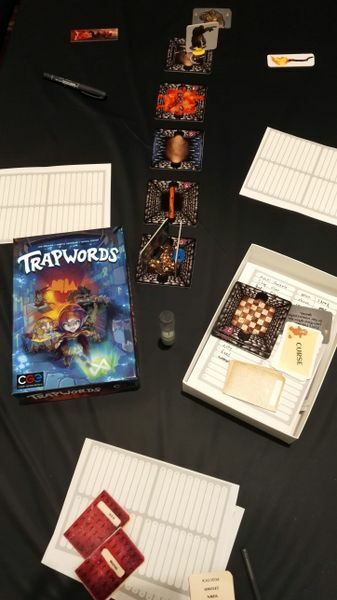 Trapwords is a word-based board game where you must make your team guess what you’re trying to say without using certain trap words that will cause you to fall behind – the catch is that it’s your opponents who decide what the traps are! If your word is axe, they might choose lumberjack, tree, or dwarf – but you don’t know which! 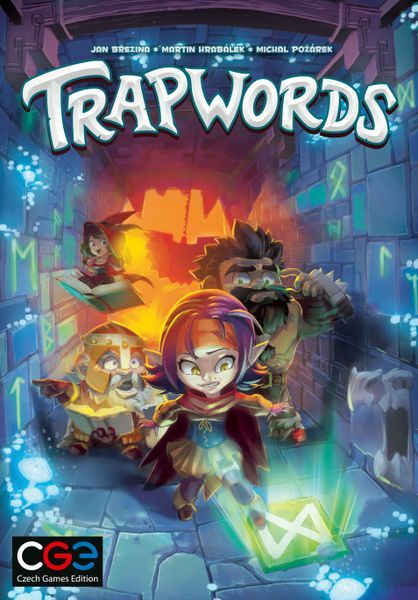 Buy Trapwords for a fantasy game of word-based ambush playable in teams. Winner of the 2015 Spiel des Jahres, Codenames is one of the world’s top-selling party word games – now available in double the size! 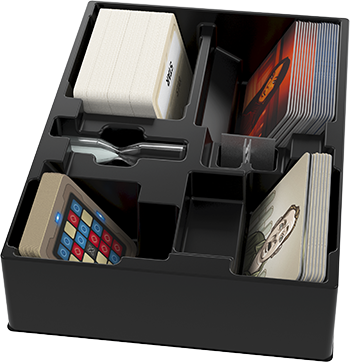 Suitable for players with vision issues or those who simply own a larger table, both editions of Codenames XXL come with organizer trays to hold their copy and all other future XXL products. 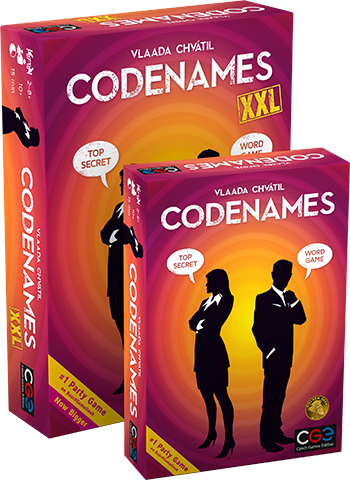 Codenames XXL will be available in our store soon! All these games are also available for pre-order for ESSEN PICKUP ONLY at this order form.